1792 '$10' Washington Gold Eagle Pattern, Musante GW-31 (A), Unique, XF45 ★ NGC. We are proud to present Eric P. Newman's famous 1792 Washington President gold eagle pattern. In many ways, the appearance of this storied gold Colonial represents a culmination of sorts, a capstone, to our ongoing presentation of the incomparable Eric P. Newman Collection. Not only was the Washington President gold piece Eric's favorite coin, it is monumentally important as the earliest gold pattern submitted for consideration as a United States coin. Heritage has had the privilege to present the Eric P. Newman Collection in all of its diversity over the past five years 2013-2018, divided into 10 public auctions including many live Signature® floor sessions and Signature® Internet events. From the greatest rarities to numismatic specialties, every collector has had an opportunity to acquire items with the important Eric P. Newman provenance. At the same time, the life story of Eric P. Newman has been told and his legacy preserved. We are extremely proud of that accomplishment. Likewise, the numismatic community has achieved innumerable benefits of Eric P. Newman's visionary outlook through the establishment of the Newman Numismatic Portal and by ongoing support from the Eric P. Newman Numismatic Education Society. As with all the Newman Collection auctions, proceeds from the Washington President gold eagle will be used exclusively for supplementing the Society's operations and scholarly numismatic research efforts, and for the benefit of other not-for-profit institutions selected by the Eric P. Newman Numismatic Education Society for public purposes. This 1792 American-made coin, with the iconic bust of Washington, is unique in gold. Only eight fortunate collectors have ever had the privilege of ownership. It has been part of the Newman Collection since July 1942 and has not been offered at public auction since the Parmelee Collection sale in 1890. Heritage looks forward to The November 2018 offerings from the Eric P. Newman Collection, and we are especially enthusiastic about the opportunity to present this momentous gold pattern during the 2018 Philadelphia ANA Platinum Night floor session, where it is offered as the first lot following the Colonials section. This is an event no serious historical collector or numismatist will want to miss. Eric P. Newman's interest in numismatics began in his childhood, when his grandfather gave him an Indian head cent. After finding another in his pocket change, he decided to hunt for more. Soon after, he made his first foray to the local coin shop, intending to use his allowance to make a purchase. Renowned dealer B.G. Johnson, the owner of St. Louis Stamp & Coin Co., refused to sell him the coin he wanted unless he learned about it first. This serendipitous moment would begin Johnson's mentorship and shape Eric's numismatic scholarship and writing; it also would lead to their partnership in the "deal of a lifetime," the "Colonel" Green estate. It was from the Green estate that Eric acquired the majority of the extremely rare coins in the vast collection he lovingly assembled for over 90 years, including: a Nova Constellatio bit, a silver Continental Dollar, an original Confederate half dollar, and the unique Washington President gold coin. Eric researched every single piece he owned, and wrote about many. Out of all those thousands of coins, one stood head and shoulders above all the others as his favorite: the Washington President in gold. For Eric, the reason was obvious, for no other numismatic artifact of early America connects present-day collectors and historians to our country's most foundational statesman more closely than the unique 1792 Washington President $10 gold eagle pattern. The unique 1792 Washington President gold eagle pattern was not only Eric P. Newman's favorite coin among all those within his vast collection, it is also an enigmatic symbol of the politically charged evolution of America's coinage system and the dilemma faced by George Washington as he deftly led the new nation through its formative years. In January 1791, the Congress and Senate deliberated over proposals for a federal coinage system. George Washington's delegate was Alexander Hamilton, who championed the establishment of a federal mint under close governmental control. Others believed America's coinage could just as well be produced by private mints (either domestic or foreign) and sought an entrepreneurial approach to the nation's coinage, with decentralized control among individual states. British contenders for a federal coinage contract lobbied for a foothold in the process, with coiners from Birmingham, England, providing designs and sample coinage including 1791-dated Large Eagle and Small Eagle cents. Domestic engravers were equally eager to obtain such a prestigious and potentially lucrative contract, and the 1792 Washington President coins may represent the finest effort from the American side, with the solitary gold example most likely created to impress a circumspect President Washington, as he ministered the driving forces behind the Mint Act of April 2, 1792, that finally emerged with Congressional approval. "This gold coin was first publicized in 1855 and has never been challenged with respect to being 'one of a kind' or being the first gold pattern for a proposed U. S. coin ... To prove its ownership by George Washington requires a review of circumstantial evidence, and it is up to the reader to evaluate how convincing that proof may be." Obverse - A stately uniformed bust of Washington facing left, surrounded by WASHINGTON PRESIDENT above and 1792 below. The T of PRESIDENT is above the lower part of the bust. The engraver's center dot is present. Dentils appear completely around the circumference. Reverse - A heraldic eagle looking left, in the style of the Great Seal design. In its beak, the eagle holds a banner with the motto UNUM E PLURIBUS. On its breast, the United States shield. In its left talon, the eagle is grasping a bundle of 13 arrows; in its right is an olive branch. Above the eagle's head is a solitary star. Above that star is a curved row of 12 stars, making 13 stars total. The engraver's center dot is present. Dentils appear completely around the circumference. Surfaces - Gentle wear equating to a Choice Extremely Fine grade appears on both sides of this canary-gold example with faint hairlines and trivial marks of no consequence. The surfaces show a slight gloss consistent with pocket pieces that have not actually seen circulation. The strike is nicely centered, and all aspects indicate a carefully produced coin. Delicate peripheral rose toning enhances the exceptional eye appeal. "I have a gold coin in my possession, a rough sketch of which I inclose [sic]; and which, although much worn, is still of the full value of the American eagle, namely ten dollars ... A very intelligent officer of the institution [the Philadelphia Mint] informed me, that he conjectured it was stamped in Birmingham ... The coin in my possession was evidently intended for circulation." "This American piece was struck at Birmingham by Hancock, an engraver of dies of considerable talent. [Three pieces are then described: the 1791 Large and Small Eagle cents and the 1792 Roman Head cent.]. These are all of copper, and were said to have been patterns for an intended coinage, but not approved." The reply, based on a "rough sketch" that is no longer available, led to the belief that the coin was produced in England by Hancock, a misconception that has persisted until recently. "I have not had occasion to write, nor would I have likely done it before my Embarkation for America but am inducd [sic] now to do so from having accidentally seen a Birmingham production of one of the American Cents, the intended Coin of America and the 1/100th part of the Dollar. Knowing it had been determind [sic] in Congress to have all their money minted in the States, I made it my business to seek out and inform myself all I could about this Cent coinage here and of the artists and Merchants engaged about them. I first applyd [sic] to Messrs. W. & Alxr. Walkers (who have a Partner Mr. Thos. Ketland in Phila.) and they shewd [sic] me the Specimens No. 16. and No. 17 sent herewith and afterwards gave them to me. They said it was merely a speculation or trial to obtain the order for making the intended cents here which inducd [sic] them to the attempt in 1791 and that some hundred wt. or so had been sent to America and given to the President and other public Gentlemen; But that on the determination of Congress to mint their own money, their scheme here had fallen thro'. They were close and secret as to who the die sinker was, where coind [sic] &ca. but upon further Enquirys [sic] I found Messrs. Walkers had orderd [sic] them to be done at Mr. Obediah Westwoods (a considerable maker of these kinds of money), and that his die Sinker Mr. Jno. Gregory Hancock (one of the first in this place 'tho with the Character of a dissipated man) and a prentice [sic] Lad Jno. Jordan, very Clever in that line, had executed them and still hold the dies." Numismatic researcher R.W. Julian discovered the Digges' letters and published them in the October and November 1962 issues of Seaby's Coin & Medal Bulletin. Past numismatic scholars compared the uniformed busts of Washington on the aforementioned 1791- and 1792-dated coins, and concluded they were identical and therefore produced by the same firm. "The skilled young engraver John Gregory Hancock no doubt cut the dies resembling the 1791 cent obverses, while others may have been done by different hands. Current wisdom is that Obediah [sic] Westwood of Birmingham was the coiner." Bowers repeated Breen's error regarding John Gregory Hancock, Sr. Breen stated that he was a child engraving prodigy who was born in 1775. However, the elder Hancock was born about 1750, and in his early 40s at the time the 1791 Washington cents were produced. The elder John Gregory Hancock married Sarah Ward at Birmingham, England on April 29, 1780, according to Birmingham, England, Church of England Marriages and Banns, 1754-1937, an online database accessed via Ancestry.com. His son, John Gregory Hancock, Jr., was born on June 24, 1791, according to England, Select Births and Christenings, 1538-1975, also per Ancestry.com. "I have the honor to request your Acceptance of a Medal struck in my presence by an ingenious & reputable Gentleman, who also made the Die, which branch he can execute with great facility & dispatch, & which he will warrant to stand until defaced by usage. "He, at present, declines having his name made public; but should this Specimen of Ingenuity intitle him to the Notice of Congress, he would be happy, on suitable Terms, to serve the Public in this line. Kraljevich suggests that the "ingenious & reputable Gentleman" was Jacob Perkins of Newburyport, Massachusetts, who via fellow Newburyport resident Nicholas Pike, sent Washington one of his productions of this era, potentially a piece from the Washington President obverse, 13 star eagle reverse dies. It would have been logical for Pike to be the intermediary in presenting the coin as he and Washington had previously corresponded: In 1788, upon receipt of Pike's newly published System of Arithmetic, Washington responded with high praise, stressing his appreciation of it as an American product. The narrative discussing the letter from Pike provides a rather convincing argument that the 1792 George Washington President gold eagle pattern was struck in America, specifically by Jacob Perkins in Newburyport, Massachusetts. Further supporting his case is the existence of the obverse die for the Washington Born Virginia piece that was in the possession of descendants of Perkins. The uniformed bust of Washington on the Washington Born Virginia coins is identical to that of the 1792 Washington President coins; the Hancock bust of Washington on the 1791 cents shows considerable differences (see Physical Evidence). "It is interesting to note that in the muling frenzy that surrounded the Hancock coins, there are no known examples of the 1792 Perkins coins or Washington Born Virginia dies struck with any of the Hancock dies. Neither are any of the Perkins coins struck on the English edge-marked planchets." After 220 years had passed, the cornerstone of the Massachusetts State House was opened in 2015, having been placed in 1795. Among the contents was a Washington Born Virginia piece formerly attributed to England and now attributed to Jacob Perkins. It seems unlikely that an English product would have been placed in that cornerstone. A Massachusetts production was more likely for the contents than one from England. An engraver, mechanic, inventor, and physicist, Jacob Perkins was part of a large family, born in Newburyport, Massachusetts, to Matthew and Jane (Noyes) Perkins. His father had 12 children with his first wife, and seven children (including Jacob) with his second wife. Only eight of those 18 children survived past infancy. Jacob's great-great grandfather, also Jacob Perkins, was born in England in 1624 and immigrated to America with his parents in 1631. Hannah Greenleaf became Hannah Perkins when she married Jacob Perkins in 1790. They were the parents of nine children. Perkins was soon apprenticed to goldsmith Edward Davis who died three years later. At the age of 21, Perkins engraved dies for the 1788 Massachusetts cents and half cents. Earlier dies were prepared by Joseph Callender whose charge of 24 shillings per die for workmanship was considered too expensive. Perkins accomplished the work for three shillings each. At about the same time, he invented a machine for making nails in a single operation. As an inventor and physicist, Perkins examined the compressibility of water, measuring with a piezometer that he invented. Perhaps his most important work was in the field of banknote engraving, patenting a "stereotype steel plate" to prevent counterfeiting. His private coinage patterns of 1818 and 1819 included intricate design work also intended to prevent counterfeiting. After a few years in Philadelphia, Perkins traveled to England where he remained until his death in 1849. A list of his inventions and patents in England is extensive. The first postage stamp, the famous Penny Black, was printed on a Perkins press and issued in 1840. In his Complete Encyclopedia of U.S. and Colonial Coins, Walter Breen wrote of the Washington President 13 Stars coins that little was known, and stated that "letter punches they share with earlier issues prove their origin with engraver Hancock at Westwood's Mint." However, careful examination of the letter punches, of the bust of Washington, and the edge lettering show conclusively that there are distinct differences from the Hancock coins, suggesting different engravers for these pieces. The letter punches and the bust of Washington from the 1792 Washington President 13 star eagle coinage are identical to the Washington Born Virginia pieces that are now thought to be the work of Jacob Perkins. The 1791 Hancock cents and the 1792 George Washington President pieces are not punch-linked as Breen suggested. However, the 1792 Washington President coins and the 1792 Washington Born Virginia coins are undoubtedly punch linked. Additional evidence points to different makers for these pieces. Obverse and reverse trials of the 1791 Hancock cents are known with strictly British edge lettering. Hancock's related 1791 Small Eagle cent exists with the edge lettered PAYABLE AT MACCLESFIELD LIVERPOOL OR CONGLETON, and PAYABLE AT THE WAREHOUSE OF THOS. WORSWICK & SONS. There are no known 1792 Washington President pieces with the British edge lettering, and the muling of a Washington Born Virginia obverse with a Washington President reverse, and vice-versa, suggests that those two pieces were produced by the same person or entity. The 1792 Washington President $10 gold piece has the edge lettered UNITED STATES OF AMERICA • + •. In comparison, the Hancock/Westwood 1791 copper coins have an edge that is lettered UNITED STATES OF AMERICA • X •. The spacing between many letters varies between the two samples. While the two edges are similar, they are not identical. That is important as identical edges would prove that both coins were minted in Birmingham, even though the slight difference does not prove otherwise on its own. "[Russ] Logan's study of error coins in conjunction with their edges, proved beyond a shadow of doubt that the blank planchets for the early halves were edge lettered prior to their being struck by obverse and reverse dies." "During his efforts to produce sound coin, Boulton had visited the Paris Mint in 1786 to meet Jean-Pierre Droz who was both an engraver and an engineer ... Droz had made some improvements to the large screw presses, and had also designed a new six-part collar with which he demonstrated that inscriptions could be embossed on the edges of coins simultaneously with the striking." "In 1836, the old milling machine was replaced by a beautiful steam-powered model. The new milling machine, however, was used only to 'upset,' or raise, a rim around the coin." The strong indication of an American product through examination of the physical appearance of the 1792 Washington President gold eagle pattern further supports the conclusion that Jacob Perkins was the individual responsible for this piece. The 1792 Washington President gold eagle pattern has been the subject of numismatic research since 1855. Although always regarded as unique, its purpose, denomination, and origin have been debated by generations of numismatists. "Gustavus Adolphus Myers ... of Richmond, Virginia, was an antiquarian and one of the founders of the Virginia Historical Society in 1831. By 1855 he owned the gold 13 Star pattern of 1792 and wanted to learn more about its background. In that year he wrote a letter, which was published with an answer in Notes and Queries (London, Vol. 12, p. 203): 'I have a gold coin in my possession, a rough sketch of which I enclose; and which, although much worn is still of the full value of the American eagle, namely, ten dollars.' "
This is the first publication regarding the unique Washington President in gold, and the first to speculate that it was equal in value to a $10 American eagle. Dr. Augustine Shurtleff (1828-1901). Shurtleff cataloged 36 varieties of Washington items dated between 1776 and 1805. This list was originally published in The Boston Evening Transcript newspaper on February 2, 1859, and reprinted inside the front and back covers of the October 1860 catalog of the Charles H. Morse Collection auctioned by Bangs, Merwin & Co. In his article titled "The Washington Coins," Shurtleff's entry number 13 described the 1792 Washington 13 Stars design. Dr. Shurtleff was aware only of copper strikings and makes no mention of a plain or lettered edge. The Shurtleff collection was acquired by W.E. Woodward and offered in his April-May 1863 auction. However, Shurtleff's Washington President, 13 star eagle reverse copper, was not included in the sale. Dr. Montroville Wilson Dickeson (1810-1882). In 1859, Dickeson published The American Numismatical Manual, the first comprehensive reference on the subject. He describes the design on page 134 as a cent and writes, "This is a well executed piece, of which we have seen one type and three varieties." It is unknown whether he was referring to the three different varieties of metals used, copper, silver and gold, or the two copper varieties (plain and lettered edge) and the silver lettered edge. An example is shown in Plate XII, Figure 9. Dickeson placed the 1792 13 Stars "cent" in the same category as the 1791 Large and Small Eagle cents, "under the invitation to foreign and native artists, as a pattern piece or specimen for a currency to be submitted to Congress. It may, therefore, be esteemed equally as valuable and rare, and entitled to the same history and importance." James Ross Snowden (1809-1878). Snowden was U.S. Mint Director between 1853 and 1861. During his tenure, many U.S. coins and medals were unofficially restruck, with part of the proceeds used for improving the Mint Cabinet of Washington medals. In 1861, Snowden wrote "A Description of the Medals of Washington ... in the Museum of the Mint." The 1792 13 Stars "cent" is described under number 49 as having a plain edge. A copper alloy is inferred. To our knowledge, the only example currently in the Smithsonian Institution, is an electrotype of the genuine Eric P. Newman copper, second obverse, plain edge coin. William Sumner Appleton (1840-1903). The lifelong Boston resident and Harvard graduate, Appleton founded the Society for the Preservation of New England Antiquities; he was a founding member of the Boston Numismatic Society, acting as its secretary for the rest of his life; he was also on the American Journal of Numismatics' Publishing Committee. Appleton is best remembered as an owner of the Mickley 1804 dollar. He was also a dedicated collector of medals. In the April 1873 issue of the American Journal of Numismatics, Appleton cataloged his Washington holdings. He began his article with the complaint "nowhere at present can one find a worthy account of the medals struck in honor of Washington." Appleton lists the 1792 13 Stars variety as numbers 26 (silver, lettered edge), 27 (copper, lettered edge), and 28 (copper, plain edge). Appleton must not have been aware of the unique gold example, owned at that time by Mendes I. Cohen. Like most early catalogers of Washington medals, he did not speculate on the identity of the engraver or the country of origin. His medal collection was eventually donated to the Massachusetts Historical Society. Sylvester Sage Crosby (1831-1914). Although he is also known for his research on 1793 half cents and cents, Crosby's The Early Coins of America was the seminal reference for Colonial collectors for more than a century after its 1875 publication. Crosby depicts the 1792 13 Stars variety as a line drawing in Figure 98, and as a photograph in Plate X, Number 10. Crosby noted both plain and lettered edge variations, and lists weights in copper, silver, and gold. (The unique gold example emerged in October of that year as lot 1488 in the Col. Mendes I. Cohen Collection in an Edward Cogan auction, where it sold for a remarkable $500). "The fact that impressions are found in gold, silver, and copper gives us reason to believe that they were intended as patterns for a coin in that metal for which they might be considered most appropriate." It is significant that the preeminent Colonial researcher of his time considered these multi-denominational patterns. William Spohn Baker (1824-1897). Baker's Medallic Portraits of Washington, published in 1885, was the standard reference on the subject for 110 years. He listed both the silver and copper examples as half dollars (not as cents). Silver examples were assigned number 20 with a lettered edge, and copper pieces were given number 21 with either a plain or lettered edge. It is also interesting to note that Baker does not list a silver half dollar with a plain edge. Baker mentions the unique gold example as a postscript to number 20, and states that it was "formerly owned by M.I. Cohen of Baltimore" and "is now in the cabinet of Lorin G. Parmelee of Boston." Dr. George J. Fuld (1932-2013). Along with his father Melvin, George Fuld is best known for his cataloging and research of Civil War tokens. Dr. Fuld was the first editor of the Bulletin (later, Journal) of the Token and Medal Society. He also researched the medals and tokens of several important historical figures, most notably George Washington. In 1965, Krause reprinted the 1885 Baker reference, with sidebar annotations contributed by Fuld. His note for the silver Baker-20 was "probably five or six silver lettered edge specimens known, and four or five plain edge. Gold piece (unique), now Newman collection." Fuld's note for the copper Baker-21 was "about equal rarity, plain or lettered edge and second obverse die known, but only one seen (Newman). Probably 12 to 15 known." Fuld's reference to a "second obverse die" was the unique Musante-30, Baker-21B specimen. This copper, plain edge example shows the T in PRESIDENT beneath Washington's shoulder. It sold for $117,500 as lot 3031 in Part V of the Newman Collection, auctioned by Heritage in November 2014. Walter Breen (1930-1993). For most of his adult life, Breen was generally regarded as the foremost numismatic researcher in the United States. His Complete Encyclopedia of U.S. and Colonial Coins was published in 1988 to great acclaim, but subsequent researchers have been unable to verify a number of his claims. "Letter punches they share with earlier issues prove their origin with engraver Hancock at Westwood's mint ... Lack of any mark of denomination ... definitely suggests that ... the solitary gold piece [was intended] for the $10 before choice of any specific weight standard. ... [Obadiah] Westwood did not know the terms of the [Pennsylvania Senator Robert] Morris bill or he would have approximated them; he did not follow [Treasury Secretary Alexander] Hamilton's 1786 or 1791 recommendations, because they would have eliminated most of his potential profit." Dr. George J. Fuld (continued). In October 1995, the American Numismatic Society held their 11th Coinage of the Americas Conference. Fuld contributed a new classification of the Washington tokens, published by the ANS in 1996. Fuld designates the 1792 13 Stars pieces as WA.1792.4 through WA.1792.5. Fuld accepted Breen's theory that the series was struck in England by the private Westwood Mint, with the dies engraved by J.G. Hancock. "It was common practice to make sample presentations to heads of state or committees when attempting to secure a contact. Certainly it is hard to contradict Newman's thesis that this was Washington's pocket piece. With one struck in gold, who was the more deserving recipient than Washington?" In 1999, Krause published a "Second Edition" of the 1885 Baker reference. George Fuld was co-author, along with Russell Rulau "in consultation with Q. David Bowers." Rulau and Fuld refer to the 1792 13 Stars varieties as "half dollars," and designate the unique gold piece as Fuld-20B. Unlike Fuld's 1996 effort, the Rulau-Fuld listing does not speculate on the engraver, purpose, or country of origin. Q. David Bowers (born 1938). Bowers is the well-known author of innumerable numismatic references, including the Whitman Encyclopedia of Colonial and Early American Coins. The 2009 publication replaced the 1988 Breen Encyclopedia as the standard single-volume Colonial reference. The 1792 13 Stars gold eagle is designated W-10680, and provides an inaccurate cross-attribution to Baker-20A instead of the correct Baker-20B. Following the lead of Breen, Bowers states that "the skilled young engraver John Gregory Hancock no doubt cut the dies resembling the 1791 cent obverses, while others may have been done by different hands. Current wisdom is that Obediah Westwood of Birmingham [England] was the coiner." John Kraljevich. An article by Kraljevich, "Perkins and the Washington Medal," that appeared in the August 2010 issue of The Numismatist is one of the most important recent research articles discussing the various Washington pieces, including the 1792 Washington 13 Stars patterns and the Washington Born Virginia pieces, arguing their American origin. Neil E. Musante. Musante's first numismatic success was The Medallic Work of John Adams Bolen (2002). In 2016, Musante published the two-volume Medallic Washington, which replaced the confusing 1999 Rulau-Fuld volume as the standard reference. Musante catalogs the 1792 13 Stars gold eagle as GW-31, and upends prior numismatic literature consensus on the series based on the 2010 article by John Kraljevich. Musante states, "the Washington coins of 1792 and the Washington Born Virginia medals are actually the work of Jacob Perkins [of Newburyport, Massachusetts]" and backs up this assertion with several supporting statements. Contrary to Breen, the letter punches for the 1791 and 1792 pieces clearly differ. The presence of a Washington Born Virginia die in the Perkins estate is also convincing, despite Breen's speculation that the die was "brought over to Massachusetts by Jacob Perkins on one of his ocean crossings." Dates (some approximated) following each collector's name indicate the time of ownership of the 1792 George Washington gold eagle, when known. The first owner of record of the Washington gold pattern was Gustavus Adolphus Myers of Richmond, Virginia. Myers, who was the son of Samuel and Judith (Hays) Myers, was born in Richmond on August 9, 1801, and died there on August 20, 1869. (Samuel, in turn, was the son of the influential New York silversmith, Myer Myers, and his wife, Elkaleh Cohen.) He was an antiquarian, lawyer, and politician who hailed from one of Richmond's affluent and respected Jewish families. Gustavus' name appears countless times in Richmond court records as trustee. His law practice, larger than any other 19th century Richmond law firm, extended beyond that city, and his clients included prominent Baltimore and New York firms. According to Herbert T. Ezekiel and Gaston Lichtenstein in The History of the Jews of Richmond from 1769 to 1917 [Richmond, VA: Herbert T. Ezekiel, 1917], Myers was considered "the most prominent Jew in the city of his day." Myers' influence was widespread. He was active in the Masons, and with his brother, attended a dinner given by the Richmond Lodge in honor of General Lafayette at the Union Hotel on October 30, 1824. Less than two years later, at just 25 years old, he was in the first of his two terms as master of the lodge. For 12 of his almost 30 years as a member of the Richmond City Council, he served as president. Along with Horace Greely and Cornelius Vanderbilt, Myers was one of the 20 "Prominent Citizens" who signed Jefferson Davis' bail bond on May 13, 1867. A man of wide-ranging interests, he was a one-time playwright (Nature and Philosophy); president of the Richmond Publishing Company that published the Enquirer and Examiner; a director of the Richmond, Fredericksburg, and Potomac Railroad Company; a member of the Washington Monument Commissioners; a member of the executive committee of the Virginia Historical Society; president of the Richmond Amicable Association; and president of the Richmond Club. Gustavus Myers married Anne Augusta Conway, nee Giles, the widow of Dr. James Conway and the daughter of William Branch Giles (1762-1830) who was governor of Virginia from 1827 to 1830. Thomas Jefferson once described Giles as "a lawyer of eminence." Gustavus and Anne Myers had one child, William B. Myers who was born in Virginia about 1840. Prior to his marriage, in 1822, Gustavus had a son with Nelly Forrester, who has been described as "a free woman of color." The child took the name Richard Gustavus Forrester. "I have a gold coin in my possession, a rough sketch of which I inclose [sic]; and which, although much worn, is still of the full value of the American eagle, namely, ten dollars. On inquiring at the United States' mint, in Philadelphia, a few years since, I found that, in the collection there of specimens of all the federal coins, none like this existed. It attracted much curiosity; but nothing of its history could be learned. A very intelligent officer of the institution informed me, that he conjectured it was stamped in Birmingham. The name of Washington, President, appearing upon it, renders it an object of greater interest; as it is generally understood, and believed, that while that distinguished man was President of the United States, learning that a coinage was about to be stamped at the mint, bearing his effigy, he immediately arrested the proceeding. A few copper coins had however been struck, which were never issued; and which I believe are still preserved in the collection to which I have above referred. No gold or silver coin of the same stamp was ever struck in the United States of America. The coin in my possession was evidently intended for circulation. Its style of execution is rather rough, and the motto upon the scroll in the eagle's beak, "Unum e pluribus," is not correct; that upon the federal money having been, "E pluribus unum." If you can, through any of your readers, afford me any information touching the subject of my inquiry, you will greatly oblige. G.A. Myers. Richmond, Virginia (U.S.A.)." "This American piece was struck at Birmingham by Hancock, an engraver of dies of considerable talent. Of these pieces there are several varieties: one, without date on the obverse; on reverse, American eagle, shield on breast, olive branch in one claw, arrows in the other; above, stars, cloud, and "ONE CENT;" edge "UNITED STATES OF AMERICA;" below, "1791." Another, date under head, "1791;" reverse, eagle as above, but larger; in beak a scroll, "UNUM E PLURIBUS;" above, "ONE CENT;" no stars, cloud, or date. Another, profile of Washington to the right, fillet round the head, no dress; legend as above; date "1792;" reverse, eagle with shield, olive and arrows; above, "CENT." Edges of all the same. These are all of copper, and were said to have been patterns for an intended coinage, but not approved." Cohen was the son of a German immigrant, Israel I. Cohen and his wife, Judith Solomon Cohen, born at Richmond, Virginia, on May 26, 1796. He had eight brothers and one sister. His mother moved the family to Baltimore five years after her husband's death in 1803. Mendes, the younger Cohen, worked for a time with his brothers in Cohen's Lottery and Exchange, and later in Jacob I. Cohen, Jr. and Brothers Banking House. The brothers, specifically Jacob, worked with Solomon Etting to lead the fight allowing members of the Jewish faith to hold public office in Maryland. After the Maryland General Assembly passed a bill in response, the elder Cohen and Etting became the first Jewish members of the Baltimore City Council in 1826. Mendes I. Cohen was never married and left no heirs when he died on May 7, 1879. He served at the Battle of Baltimore during the War of 1812. From 1829 to 1835, he traveled abroad and was the first American to visit the Nile Valley. Cohen served in the Maryland General Assembly, as a delegate to the State Peace Convention during the Civil War, and as vice president of the Baltimore Committee of the Alliance Israelite Universelle. Cogan cataloged the Mendes I. Cohen collection in October 1875, where the unique Washington gold piece was offered as lot 1488, realizing $500. An 1804 Class I silver dollar brought $325 in that same sale. A Philadelphia and New York coin dealer who began his business in Philadelphia in 1856, Cogan was born in Essex County, England, on January 5, 1803, and died in Brooklyn, New York, on April 7, 1884. He popularized the hobby beginning with an 1858 sale of large cents and is often called the father of U.S. coin collecting. From 1858 until 1879, Cogan conducted 69 auction sales, including the June 1869 sale of the Mortimer MacKenzie collection -- the first American auction catalog containing photographic plates. He issued store cards advertising his numismatic business in 1859 and 1860. Cogan is also remembered for his late-1860s feud with fellow dealer and numismatic publisher Ebenezer Locke Mason, the next individual to handle this coin. "Along his unusual career he evolved from being a tailor and saddler, to a poet, dime novelist and journalist, activist in the Order of the Lone Star, showman, entertainment agent, aeronautic engineer and pilot, Civil War soldier, United States Special Agent for the Department of the Interior who recovered the stolen Washington relics, musical song writer and publisher, photographer for carte de visite, curio shop owner, occasional book publisher, coin and stamp dealer, to the first full-time coin and stamp dealer who published a monthly coin and stamp magazine that ultimately folded after twenty-four years though he continued his coin business until his death as one of America's leading numismatic authorities." Mason was the son of Ebenezer Locke Mason and Mary Scott Cobbe. He was born in Portland, Maine, on March 21, 1826, and died in Philadelphia on September 14, 1901. He was educated at the Latin School in Portland, where his father operated a clothing store. After the Mason family moved to Philadelphia, his father opened a saddlery business when Eben (his nickname) was eight years old (hence his days as a saddler). He married Lavinia Reybold before 1857, and they had five children. After Lavinia died in 1883, he married Emilie Atkins in 1885. His third wife was Anna Fuller. Lorin Gilbert Parmelee, the Boston bean baker, acquired the 1792 Washington gold pattern, probably from Ebenezer Locke Mason. Parmelee, the son of Jeremiah and Lydia (Ray) Parmelee, was born in Wilmington, Vermont, on May 27, 1827, and moved to Illinois prior to 1850. He returned to the East coast a short time later. He began collecting coins out of his daily receipts in the 1850s; when his customers asked to look through his old copper coins, he soon realized that he could do the same, and began selling the scarce dates for a small profit. He bought several collections intact, consigning duplicates for public sale. For example, Parmelee purchased the complete Bushnell Collection, selected coins for his own collection, and consigned the balance to the Chapman Brothers who sold the "Bushnell Collection" in June 1882. Parmelee died at Milford, Massachusetts on July 22, 1905. The New York Coin & Stamp Company handled the Lorin G. Parmelee Collection in June 1890, where the 1792 Washington gold eagle pattern appeared as lot 618 and realized $220. After pursuing their individual numismatic careers, Harlan Smith and David Proskey joined forces as proprietors of the New York Coin & Stamp Company. The firm conducted their first sale in January 1888, and handled their two most important collections a short time later. Their third sale was the R. Coulton Davis collection in January 1890, followed by the Parmelee Collection sale six months later. 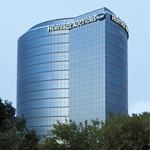 Proskey acted as the cataloger for both of these landmark auctions. They conducted 18 sales through April 1900. David Proskey also cataloged five more sales from 1903 through 1908, following the death of Smith. Harlan Page Smith was born in Hamilton, Madison County, New York, on March 18, 1839. He worked quite successfully in the wholesale fruit business until 1876. His interest in numismatics blossomed as he studied the coins in his cash drawer, and he branched out as a coin dealer in the late 1870s. He formed a partnership with Henry G. Sampson and conducted four auctions under the Smith and Sampson banner from 1880 through 1881. He then conducted a series of 21 sales under his own name from 1881 to 1887, forming strong contacts with many European dealers. In 1887, Smith began his most famous and successful numismatic enterprise, the New York Coin & Stamp Company, with David Proskey as partner. The firm's fourth auction was the sale of the Parmelee Collection, the historic numismatic auction of the last quarter of the 19th century. H.P. Smith famously substituted his example of the ultra-rare 1822 half eagle for Parmelee's specimen in the catalog when the Parmelee coin proved to be a counterfeit. Unfortunately, the auction was not a success financially, despite the high quality of the material offered. T. Harrison Garrett and Robert Coulton Davis, two of the biggest collectors of the time, had recently died, and Parmelee himself was no longer actively competing. The loss of these high-profile bidders was keenly felt throughout the 1890s, a relatively slow period for the numismatic trade. H.P. Smith, bidding under his alias "Clay," acted as an agent for Parmelee at the sale, buying in many items that sold too low. One of these items was the unique 1792 Washington gold pattern in lot 618, which only realized $220. H.P Smith died in New York City in 1902. His extensive collection was sold by the Chapman brothers in two auctions in 1906. Dewitt Smith was born in Sandisfield, Massachusetts, in 1840. He served as a second lieutenant in the 49th Massachusetts Regiment during the Civil War and was president of the Smith Paper Company by 1889. In addition to collecting coins, he collected orchids and he was active in the Masons. He formed a first-class collection of Colonial coins and territorial issues, including the 1792 Washington gold pattern, which he purchased privately from Lorin G. Parmelee sometime after the 1890 sale of his collection. Dewitt Smith never sold his collection, holding on to his coins until his death in Lee, Massachusetts, in 1908. Virgil Brand purchased his numismatic holdings, including the unique 1792 Washington gold pattern, from his estate in 1908. Virgil Brand was born in Blue Island, Illinois, on January 16, 1862. His father soon moved the family to Chicago, where he founded the Michael Brand & Company Brewery. Brand's business burned to the ground during the great Chicago Fire of 1871, but he was able to start over and later merged with two other firms to create the United States Brewing Company. Initially employed as a bookkeeper by his father, Virgil rose quickly in the brewery business, making his mark as the first president of the United States Brewing Company and founding the Brand Brewing Company in 1899. He became a millionaire at an early age. Brand, who never married, lived in a lavish apartment above the offices of the brewery. He developed a passion for numismatics and was known as a collector by 1889, but he probably started collecting at an earlier date. Brand was a charter member of the Chicago Numismatic Society, serving as president from 1908 to 1909. He ordered multiple proof sets directly from the Mint every year and was often the heaviest buyer at the most prominent coin auctions of the early 20th century. His wide range of dealer contacts enabled sizable private purchases from American and European sources. On several occasions, he purchased large collections in their entirety from prominent collectors or their estates, such as that of Dewitt Smith. By the time of his death in 1926, Brand's numismatic collection included more than 350,000 items, meticulously recorded in his Journals as he purchased them over the years; he listed the 1792 Washington gold pattern as "G.W. Pocket Piece" in Journal number 46483. He did not leave a will, so his estate was divided between his brothers, Horace and Armin, in a complicated series of contentious negotiations. The vast collection was dispersed piecemeal by the various heirs in a process that involved many auctions and private sales over a period of decades. The 1792 Washington gold pattern was allotted to Virgil's younger brother, Armin, early in the process. Michael Brand had nine children, but only the brothers Virgil, Horace, and Armin (the youngest surviving brother) lived beyond infancy. Armin studied law at Yale and the University of Michigan, but a serious bout of pneumonia and the outbreak of the Spanish American War prevented him from completing a degree. He enlisted in the 32nd Michigan Regiment, although the war ended before he reached Cuba. Upon reaching majority in 1898, Armin inherited a fortune from his father. He married Frieda Grommes on October 10, 1905, and they had one child, their daughter Jane. He pursued several business ventures, including mining vanadium in Colorado and taking over the Brandsville Fruit Company from his brother Horace in 1909. Armin inherited half of his brother Virgil's numismatic collection, but disputes with his brother Horace over the value of many pieces proved problematic. The collection was evaluated by Henry Chapman and Burdette G. Johnson and apportioned between the brothers over a long period of time. Armin was awarded the 1792 Washington gold pattern as part of his share; he sold it to New York coin dealer Wayte Raymond on June 27, 1933, for $2500, with the help of B.G. Johnson, who received a 10% commission. Armin died in 1945. Wayte Raymond was born in South Norwalk, Connecticut, on November 9, 1886. He worked as a bank teller with the City National Bank of South Norwalk from 1901 to 1912 and married Olga Eleanor Louise Osterholm in 1917. They had no children. He joined the ANA in 1902 and briefly considered going into partnership with B. Max Mehl in New York in 1903, but Mehl decided to remain in Texas, so the venture never got beyond the planning stage. He partnered with Elmer Sears in the United States Coin Company from 1912 to 1918 and conducted 69 auction sales under his own name from 1908 to 1950. He was a principle of the J.C. Morgenthau firm, with James Macallister, from 1932 to 1945 and acted as a dealer with the Scott Stamp and Coin Company from 1934 to 1946. He published reference books, price guides, and coin albums for many years and employed many prominent numismatists, such as Walter Breen and John J. Ford, in their early years in the business. He purchased the 1792 Washington gold pattern from Armin Brand in 1933 and quickly sold it to his most important customer, "Colonel" E.H.R. Green. Raymond, who was widely respected by the numismatic community throughout his career, died in 1956. Edward Howland Robinson Green was born in London on August 28, 1868, during his parents' sojourn in England. His mother was the unconventional businesswoman Henrietta ("Hetty") Howland Robinson Green, widely known as the "Witch of Wall Street." Green called his mother "one of the shrewdest business women Wall Street had ever seen." Unlike his frugal mother, when Green inherited her vast fortune, he went on an unrestrained spending spree that lasted the rest of his life, collecting stamps, coins, art, and other objects on a scale that rivaled Virgil Brand. He carried large sums of cash on his person and was always accompanied by bodyguards. Green reportedly stopped a run on a bank he was affiliated with during the Depression by handing over his pocket money to the bank's manager to cover a spate of panicky withdrawals. He associated with boxers, sports figures, and show business personalities on a regular basis and vies with King Farouk as the most eccentric collector of the 20th century. At Green's private radio station, Eric P. Newman was part of a group of Massachusetts Institute of Technology students who monitored and sometimes assisted with transmittals from Admiral Byrd's first Antarctic expedition (a connection that would indirectly facilitate Newman's purchases from his estate). Green purchased the 1792 Washington gold pattern from Wayte Raymond in 1933. Green acted as Director of the Baltimore and Ohio Railroad and was President of the Texas Midland Railroad after 1893. He was active in Republican politics in Texas and received his honorary title of Colonel in the Texas National Guard from the governor. He married Mabel E. Harlow on July 10, 1917, but never had children; his only heirs were Mabel and his sister Silvia Wilks. Upon his death at Lake Placid, New York, on June 8, 1936, his estate was valued at more than $40,000,000; it required eight armored cars, 16 private guards, and seven state policemen to transport his collection to the bank in Boston. The Chase National Bank in New York administered Colonel Green's estate. His numismatic holdings remained intact until Eric negotiated the purchase of some Missouri paper money in 1939. Afterward, the bank sold much of the collection to the partnership of Eric P. Newman and Burdette G. Johnson over a period of years. After his initial success in acquiring items from the Green Estate, prominent collector Eric P. Newman formed a partnership with his mentor, St. Louis dealer Burdette G. Johnson, to purchase the bulk of the non-U.S. gold portion of the Green Collection. Johnson valued the pieces they bought, putting them in envelopes with red typewriting (indicating they were from the Green Estate) and listing their cost basis and sale price. Eric selected the coins he wanted, up to a certain cost basis, then Johnson did the same. Johnson sold the balance, upon which he and Eric shared the profits equally. The partnership acquired the 1792 Washington gold pattern from a purchase of approximately 11,000 half dollars in 1942, and Eric selected it as part of his share. Eric P. Newman was born in St. Louis, Missouri, on May 25, 1911. He graduated from Massachusetts Institute of Technology in 1932 and Washington University School of Law in 1935. He married Evelyn Edison on November 29, 1939, and they had two children, Linda and Andy. Eric was the head of the Edison Brothers Stores legal department and later became executive vice president and director, retiring in 1987. His interest in coins was sparked when his grandfather gave him an 1859 Indian head cent. Numismatics became a life-long passion, and he formed one of the greatest coin collections of all time. He purchased many exceptional rarities from the "Colonel" Green Collection through his partnership with B.G. Johnson in the 1940s, including all five known examples of the 1913 Liberty nickel. From 1941 to 2014, he wrote numerous articles and reference books, becoming the foremost numismatic scholar of the 20th century. Many pieces from his collection were on display at the Newman Money Museum in St. Louis (2006-2018) and the earlier Mercantile Museum. The Eric P. Newman Numismatic Education Society, a nonprofit organization, supports the Newman Numismatic Portal at Washington University, one of the Society's most visible numismatic projects. The Newman collection is being dispersed through an ongoing series of sales through Heritage Auctions. Eric passed away in 2017 at the age of 106. For much more fascinating information on Eric P. Newman, see Truth Seeker: The Life of Eric P. Newman, by Leonard Augsburger, Roger W. Burdette, and Joel Orosz. Was this unique gold coin presented to George Washington, and did he indeed use it as a pocket piece? In his 1975 Coin World article, Eric P. Newman presented a strong argument that the 1792 Washington President gold eagle pattern was at one time owned by George Washington, who carried it in his pocket. However, there is no absolute proof, and there are those who disagree with Eric's hypothesis. "It has also been suggested that the gold impression was struck for Washington and that he carried it with him as a pocket piece. There is no documentation to prove this and given Washington's aversion to the use of his likeness on a federal coin, carrying such a piece would seem an odd contradiction. More than likely, the gold coin was Perkins's own piece and the medal sent to Washington, as related in Nicholas Pike's letter, was a copper example." The first ownership of record was in 1855, some 56 years after the death of Washington. We don't know where the coin was for more than six decades since it was produced. There is no proof that Washington received the gold pattern, and therefore no record that he gave it away prior to his death. While other coins and medals were recorded in his estate inventory, George Washington did not possess this piece at the time of his death. His estate inventory was lengthy, complex, and extremely detailed, including well-described coins and medals. The unique Washington President gold eagle pattern does not appear in that inventory. Although images of our first President of the United States are omnipresent on money, Washington refused such homage when proposed, and no depictions of him appeared on U.S.-issued coinage or currency during his lifetime. "I found a fallible human being made of flesh and blood and spirit-not a statue of marble and wood. And inevitably--for that was the fact--I found a great and good man. In all history few men who possessed unassailable power have used that power so gently and self-effacingly for what their best instincts told them was the welfare of their neighbors and mankind." -- James Flexner, National Book Award-winning author of Washington: The indispensable Man. The fact that Washington did not have the unique gold coin upon his death does not mean he never owned it; he may very well have carried it for some time and gifted it to a person or organization he thought most deserving. The hypothesis that this coin was struck expressly for, given to, and carried by President George Washington is singular in its importance, and sheds light on why Eric P. Newman held this prized possession in such high regard. The compelling narrative has been the subject of considerable research and controversy. 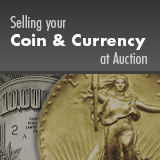 The coin's history has been addressed by many preeminent 19th-, 20th-, and 21st-century numismatists. Whether or not the hypothesis is true, it would nonetheless be difficult to argue that any other numismatic relic of early America connects present-day hobbyists and historians to our country's most foundational statesman more closely than the unique 1792 Washington President gold eagle pattern. "... I think it was most probably struck in compliment to General Washington and no other in gold was allowed to be issued. It was probably used for some time as a pocket piece...."
"It is very probable that Washington had this piece given him and the slight wear it shows would indicate its use as a pocket piece." Part of what complicated the process of tying this coin directly to President Washington is its once-obscure origin. In 1975, when Eric Newman wrote his Coin World article, evidence pointed to a British origin for the 1792 Washington President coins. He believed that this coin, and others in copper and silver, were struck in Birmingham, England, at Obadiah Westwood's mint and systematically argued that they were made as patterns for copper cents, with Westwood hoping to secure a coinage contract with the United States. According to Eric, the Westwood mint would only have been interested in striking copper pieces. Their production netted a significantly higher profit margin compared to gold and silver, and there was considerably less risk involved in transporting them across the Atlantic. "Certainly it is hard to contradict Newman's thesis that this was Washington's pocket piece. With one struck in gold, who was the more deserving recipient than Washington?" "I have the honor to request your Acceptance of a Medal struck in my presence by an ingenious & reputable Gentleman, who also made the Die, which branch he can execute with great facility & dispatch, & which he will warrant to stand until defaced by usage." Newburyport was a small community of just a few thousand people. It is almost certain that Pike's "ingenious & reputable Gentleman" referred to Jacob Perkins. The question is: Was the enclosed coin the 1792 13-Star gold piece? Although we do not know, it is plausible and, one could argue, likely, as coiners of the time routinely presented heads of state and government committees examples of their work. Kraljevich's writing presents a tangible, documented link between the American engraver and President Washington. Musante makes a fair point about Washington's aversion to the notion that any federal coin should bear his likeness. Still, George Washington might well have kept the pattern as a pocket piece, perhaps a self-reminder of devotion to America's new constitution and his own principled declination to become a monarch himself. "It is uncertain if the medal he sent was a Washington Born Virginia. It might also have been the single gold example of the so-called 1792 cent." The idea that Jacob Perkins struck this coin as either a pattern or as a demonstration of his skills is arguably the most convincing of the theories above. We firmly believe this could easily have been the coin that Nicholas Pike forwarded to President Washington. How then did Gustavus Adolphus Myers come to be in possession of this coin of undeniable importance? There are a couple of possibilities. First, although a direct link between Myers and Washington is impossible as Myers was born two years after Washington died, there is an interesting connection between Myers' grandfather and the first president. Myer Myers (1723-1795) was a Jewish silversmith from New York City. During the pre-Revolutionary War era from the mid-1750s to mid-1770s, Myers established himself as the foremost expert in his craft, creating elaborate rococo silver objects of vertu for his wealthy clients. Myers moved his family to Connecticut during the war, and later to Philadelphia, where he used his silversmith skills to produce bullets from household goods for the war effort. Myers returned to New York after the war and remained there until his death. In 1786, he was elected president of New York's Gold and Silver Smith's Society. Myer Myers was also active in New York City freemasonry. As such, there is a strong likelihood that while George Washington was living in New York, he would have known Myer Myers personally. Samuel Myers (1755-1836), the son of Myer Myers, settled in the Richmond, Virginia, area about 1798, and with his half-brother, Moses, established a successful import-export business. Samuel had a son born in 1801. He was Gustavus Adolphus Myers, the first confirmed owner of the 1792 Washington President gold eagle pattern. Like the Perkins-Pike-Washington story, the Myers-Washington-Myers connection also suggests a possible direct link between President George Washington and this coin. Unfortunately, it is unknown whether or not these connections are purely coincidental or have any concrete relation to one another. And although we cannot say with any degree of certainty that Washington received the coin, or that he later gave the coin to Myer Myers or his son Samuel, it is certainly a possibility. "Somehow the gold coin did find its way to the [Richmond] Virginia Masonic Lodge. From there, it eventually found a home with Gustave [Gustavus] Adolphus Myers, an active member of that lodge." Ultimately, without the discovery of a documented first-hand account, we are unlikely to ever know beyond a shadow of a doubt if our first president was the owner of this unique gold piece. We can only consider the evidence presented in the preceding paragraphs and form an educated opinion. To be sure, the mystique of this unique gold coin -- Washington's so-called "pocket piece" and Eric Newman's most precious acquisition -- is certain to grow. To Eric P. Newman, George Washington was a personal hero. He considered Washington's refusal to allow our country's first coinage to bear his own likeness a perfect example of his profound humility and willingness to put country before self. This unique gold coin, which we believe to have been then-President George Washington's cherished personal memento, is the ultimate artifact of that decision. From 1855 to the present, only eight collectors have owned this Washington President gold eagle pattern. Eric P. Newman lovingly preserved it for over 75 years, during which time our numismatic fraternity has witnessed the auction appearances of thirty-five 1804 dollars, thirteen 1913 Liberty nickels, and six Brasher doubloons. This historic offering may not reoccur for decades, if ever. "The fact that impressions are found in gold, silver and copper, gives us reason to believe that they were intended as patterns for a coin in that metal for which they might be considered most appropriate." Crosby believed the Washington President coins to be multi-denominational patterns for United States coinage. It is logical to conclude that this unique gold coin is a proposed pattern for an American $10 eagle. The fact that the silver pieces and the unique gold piece were struck only with lettered edges furthers the argument that they were produced as multidenominational patterns. Another important characteristic of the Washington President gold eagle pattern is the appearance of slight indentations on the reverse edge that correspond with the individual edge letters. This characteristic is often seen on United States early half-dollars and indicates that edge lettering was placed on the planchet in a separate process via a Castaing machine, before the coin was struck. British coins of this era utilized an upsetting machine to create a raised rim on their planchets; superior technology that was not available in the United States until the 1830s. These observations add to the evidence that the Washington President coins were American made. "This coin is unique in that it was owned by George Washington. It is unique as the earliest gold pattern prepared for the United States coinage; and it is unique because only one example of the coin was made. What other American coin can command historical and numismatic respect of that magnitude?" "The gold coin was first publicized in 1855 and has never been challenged with respect to being "one of a kind" or being the first gold pattern for a proposed U.S. coin... To prove its ownership by George Washington requires a review of circumstantial evidence, and it is up to the reader to evaluate how convincing that proof may be." The facts point to this unique Washington President gold eagle pattern as being an American product, made by that "ingenious & reputable Gentleman" Jacob Perkins of Newburyport, Massachusetts, and lead us to believe that Nicholas Pike sent it to George Washington on February 29, 1792. Whether or not one is convinced Washington carried or ever owned this coin, the Washington President gold eagle pattern is both unique and monumentally important. It is the earliest gold pattern submitted for consideration as a United States coin and was produced in 1792, the seminal date of American numismatics. It has been 128 years since its last public offering. The Washington President gold coin may be the most overlooked rarity in American numismatics. "What other American coin can command historical and numismatic respect of that magnitude?" Only one very fortunate individual or institution can become the next curator of this quintessential prize. There are only five silver examples of the 1792 Washington President, 13 Stars pattern believed known, all with the edge lettered. Previous catalogers have only skimmed the history of these pieces, but new research reveals much of the coins' provenance and solidifies the estimated survivorship. Two pieces are in institutional collections; one is in the Massachusetts Historical Society, donated in June 1905 by the estate of William Sumner Appleton, a prominent collector of Washington coins and medals in the 1870s, and the other is in the Historical Society of Pennsylvania, donated by William S. Baker. It is likely the coin once owned by A.S. Jenks of Philadelphia. Jenks' coin is plated in an 1877 Edward Cogan sale but disappears from 20th century listings. The three privately held representatives include the John J. Ford, Jr. coin, the John L. Roper piece, and the Eric P. Newman example. Ford's coin traces to F.C.C. Boyd, B.G. Johnson, "Col." E.H.R. Green, and Lorin G. Parmelee, who purchased it from the Chapman brothers' Bushnell sale of June 1882. Both it and the Roper coin currently reside in a prominent private collection. The Newman coin still resides in its namesake collection, not likely seen at public auction since the early 20th or late 19th century. The first time a Washington President silver coin was described as a half dollar was in the May 1862 W.H. Strobridge sale of the Lilliendahl Collection. "Mr. Crosby in 'The Early Coins of America,' speaks of having seen only four impressions from these dies in silver; no additional specimens have come to the knowledge of the writer." Parmelee purchased Bushnell's silver coin in 1882, and it later changed hands in the sale of Parmelee's collection in 1890. The silver piece in Parmelee's possession in 1875 was traded or sold privately sometime before 1890. Today, it is either the Newman coin or the piece in the Historical Society of Pennsylvania. Modern references on Washington coinage describe a plain edge silver variety of the 1792 Washington President, 13 Stars pattern. However, our exhaustive study of auction data going back to the early 1860s uncovers no reference to such a coin. In 1885, Baker described only the lettered edge variety in silver. The earliest mention of the specific plain edge variant is in the notes of George Fuld's 1965 reprint of Baker's reference. Why Fuld came to believe that "four or five plain edge" silver pieces existed is unknown, although it is possible that it was the result of misinterpreting early auction descriptions of silver Getz half dollar patterns as examples of Baker-20. Walter Breen's Encyclopedia, the recent Rulau-Fuld Medallic Portraits of Washington, the Whitman colonial Encyclopedia, and other modern references seem to repeat Fuld's note from 1965. It is our opinion that a plain edge silver variety of Baker-20 does not exist. The copper 1792 Washington President pieces exist with plain and lettered edges. In the past, some numismatists believed the plain edge pieces were more plentiful, but refreshed research on this matter proves the opposite. There are seven lettered edge copper pieces believed known and four plain edge examples. One of each variety is held by the Massachusetts Historical Society, from the June 1905 donation of the William Sumner Appleton Estate. Only six lettered edge and three plain edge coins likely reside in private ownership. The greater survivorship makes the copper 1792 Washington President coins more difficult to link to 19th century auction listings than the silver pieces, and the copper coins are less often plated in the early catalogs. Auction listings are plentiful for copper pieces in the 1860s, '70s, and '80s, but seem to represent repeated offerings of just a few coins. In 1875, Crosby knew of copper coins only in the cabinets of Appleton, Bushnell, Cohen, Parmelee, and himself, although he did not specify edge type. In 1885, Baker did not estimate an exact survivorship of copper pieces but simply called them "excessively rare." Like the silver pieces, Parmelee owned two different copper examples -- the piece he possessed in 1875, and later Bushnell's. Both were plain edge coins and the Chapmans eventually purchased both. The plain edge copper coin in Parmelee's sale of 1890 was described as being on a "Smaller planchet." It may be the Robison/Steinberg coin today, which appears to show the edge of the coin cut closer to the border legends than on the other plain edge pieces. Possibly the finest plain edge piece is in the Newman Collection. Eric had an opportunity to buy a second piece - the Jackman/Gehring coin - in 1961, but declined. That example has not been seen since. The finest lettered edge piece is the Norweb coin. It was graded AU53 PCGS and brought $253,000 when last seen at auction in 2006. Although no documentation concretely links the Norweb coin to Crosby, the shape of its planchet and the impaired condition of most other copper pieces strongly suggests that it is the coin plated in Crosby's The Early Coins of America (1875). The Crosby plate, although poor quality, shows a coin of great sharpness with a planchet shape that appears to match the Norweb coin. A unique 12th copper piece exists from the first obverse die, showing the T in PRESIDENT positioned below the bust. This obverse has a small crack from date to bust, rendering it unusable as a presentation piece for Perkins, who then made a new obverse die. It is pedigreed to Eric P. Newman and "Col." E.H.R. Green. Prior provenance is unknown. There is much incomplete information in print regarding the rarity and provenance of the 1792 Washington President patterns, fueled by the lack of an in-depth study into the numismatic history of each variety. It is our hope that this refreshed examination will help to develop a concrete understanding of just how rare these pieces are, and how their numismatic recognition has progressed throughout the last one and a half centuries. Only 18 examples of the 1792 Washington President, 13 Stars pattern are believed known for all compositions and edge types, including the unique gold piece. In addition to the five known 1792 Washington President, 13 stars patterns struck in silver, there are a small number of other 1792-dated silver Washington pieces known. The tally includes 22 silver Peter Getz coins, according to the late Dr. George Fuld in The Washington Pattern Coinage of Peter Getz. It is likely that all of the Getz silver coins were struck over other silver pieces, and at least 13 of those show undertype from earlier coins. We have located records of four silver Getz pieces that have sold this century, ranging from a low of $103,500 for an XF example in the May 2004 Ford sale, to a high of $391,000 for a Gem Uncirculated piece in the same sale. The most recent sale was a VF25 PCGS example that appeared in the November 2006 Norweb sale and realized $184,000. The Garrett Collection had a single silver piece described as a Getz Large Eagle pattern, although Fuld suggests that that piece was struck in the middle 19th century, and Neil Musante calls this piece a "probable 19th century fantasy by Winslow J. Howard." Musante records his variety GW-33 as the Washington Born Virginia coin with the second reverse. In addition to the scarce copper examples, he records the existence of "four or five" silver coins with a plain edge, including examples in the Garrett, Roper, and Robison collections per George Fuld in his 1995 Washington coinage article. In addition to those pieces, Musante suggests that two silver examples are known with a lettered edge, and according to Fuld, one appeared in the Bushnell sale and the other was purchased (by Fuld) unattributed about 1961. All 1792 Washington coinage is rare. Including the Getz pieces, the Washington President patterns, and the Washington Born Virginia coins, we can account for about 125 surviving examples in copper, and 33 or 34 pieces in silver. Clearly, this data helps to explain the extraordinary significance of the unique 1792 Washington President gold eagle pattern. 1. XF40 NGC. "Col." E.H.R. Green; B.G. Johnson, Eric P. Newman partnership; Eric P. Newman; Eric P. Newman Numismatic Education Society, Part V (Heritage, 11/2014), lot 3031, which realized $117,500. The only public offering; Private collection. 175.4 grains. The Breen Plate Coin. 1. XF45 ★ NGC. Eric P. Newman. See detailed provenance within. 250.2 grains. The ANS 1976 Plate Coin, Unique. 1. Bushnell Collection (S.H. & H. Chapman, 6/1882), lot 1248, which realized $126 (included in the Crosby 1875 census); Lorin G. Parmelee (New York Coin & Stamp, 6/1890), lot 619, which realized $86; to S.H. & H. Chapman; later, "Col." E.H.R. Green; 1942 B.G. Johnson, Eric P. Newman partnership; F.C.C. Boyd; John J. Ford, Jr. (Stack's, 5/2004), lot 26, which realized $115,000; Donald Groves Partrick. 168.5 grains. 2. Robison Collection (Stack's, 2/1982), lot 245; John L. Roper, 2nd Collection (Stack's, 12/1983), lot 379, which realized $35,200; Donald Groves Partrick. 182.9 grains. 3. Richard Picker; Eric P. Newman. 186.7 grains. The Rulau-Fuld Plate Coin. 4. William Sumner Appleton (included in the Crosby 1875 census); Massachusetts Historical Society. 188 grains. A. E.F. Kuithan Collection (Edouard Frossard, 6/1883), lot 97, unsold. B. Vicksburg Collection (W.E. Woodward, 5/1888), lot 1168, which realized $50. Possibly the same as Baker-20 number 5 above. C. Per George Fuld Coinage of the American Confederation Period, American Numismatic Society, 10/28/1995 page 194: "Another specimen appeared in the New England area around 1970, with lettered edge, in extremely fine condition." Possibly the same as Baker-20 number 2 above. A. In the possession of Lorin G. Parmelee in 1875 (included in the Crosby 1875 census and different than Bushnell lot 1248 recorded above), likely inferior to the Bushnell example. B. William A. Lilliendahl (W.H. Strobridge, 5/1862), lot 964, which realized $90, to "Harris". Harris was a pseudonym often used by Bushnell, per George Fuld Coinage of the American Confederation Period, American Numismatic Society, 10/28/1995 pg. 193. Cataloged as a "Washington Half-Dollar," the first such reference. "Worn as a medal." Possibly the same as C below and/or Baker-20 number 5 above. C. Bache, et al Collections (W.E. Woodward, 3/1865), lot 3279, which realized $100, to McCoy. Holed or partially holed. Possibly the same as B above and/or Baker-20 number 5 above. D. Colin Lightbody (Edward Cogan, 12/1866), lot 718, which realized $100, to Cogan. 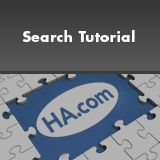 E. A second example from the, "Col." E.H.R. Green estate holdings. Part of the approximately 11,000 half dollars sold to Eric P. Newman and B.G. Johnson in 1942 for $27,500. Possibly the same as Baker-20 number 3 above. 1. AU53 PCGS. Likely Sylvester S. Crosby (included in the Crosby 1875 census) (John W. Haseltine, 6/1883), lot 292, which realized $55; Later: likely Newcomer (where listed as uncirculated) to B. Max Mehl who sold it on 1/11/1937 to Henry Norweb; Norweb Collection (Stack's, 11/2006), lot 2022, which realized $253,000; Donald Groves Partrick. 179.5 grains. The Bowers Plate Coin. Likely the Crosby Plate Coin. 2. Col. James W. Ellsworth; John Work Garrett (3/1923); Garrett Collection; Johns Hopkins University (Bowers & Ruddy, 3/1981), lot 1712; John L. Roper, 2nd Collection (Stack's, 12/1983), lot 380; Donald Groves Partrick. 179.1 grains. The Rulau-Fuld Plate Coin. 3. William Sumner Appleton (included in the Crosby 1875 census); Massachusetts Historical Society. 177.8 grains. Partial puncture on reverse. 4. Purchased from Ira S. Reed (11/21/1945) at $125; Benson Collection (Ira and Larry Goldberg, 2/2001), lot 119, silver washed, grid-pattern scratches in the left obverse field; Anthony Terranova; Colonial Williamsburg Foundation. 5. Likely Robert Coulton Davis (New York Coin & Stamp, 1/1890), lot 2469, which realized $31. Several deep nicks; Long Beach Signature (Heritage, 9/2009), lot 24, which realized $48,875; Early American History Auctions (8/2012), lot 350. (Formerly XF Details - Damaged - NCS. Now raw, heavily repaired - authenticated by PCGS but not certified per the 2012 lot description) although still listed on PCGS CoinFacts as XF45 and in PCGS holder # 16223588 per their certificate verification web page. The CoinFacts Plate Coin. 6. Fine Details - Damaged - NGC. New York Signature (Heritage, 11/2013), lot 3490, which realized $16,450. 1. Robison Collection (Stack's, 1/1982), lot 246; Gilbert Steinberg (Stack's, 10/1989), lot 191. 2. W.J. Jenks; Bispham Collection (S.H. and H. Chapman, 2/1880), lot 835, which realized $30, to Clark; Public Auction Sale (S.H. and H. Chapman, 11/1880), lot 602, which realized $33; Allison W. Jackman (Henry Chapman, 6/1918), lot 236, which realized $57.50; Lewis C. Gehring (Elder, 8/1921), lot 708, which realized $75.50; Hillyer Ryder; F.C.C. Boyd; offered to Eric P. Newman by John J. Ford but declined (11/1961). 3. Eric P. Newman. 175.9 grains. The Breen Plate Coin. 4. William Sumner Appleton (possibly included in the Crosby 1875 census) Massachusetts Historical Society. 175.4 grains. Partial puncture on obverse. Light silver wash.
A. Henry W. Holland (W.E. Woodward, 11/1878), lot 848, which realized $30. B. Bushnell Collection (included in the Crosby 1875 census) (S.H. & H. Chapman 6/1882), lot 1249, which realized $37, to S.H. and H. Chapman. C. Isaac F. Wood (Edouard Frossard, 2/1884), lot 260, which realized $85. D. Lorin G. Parmelee (included in the Crosby 1875 census) (New York Coin & Stamp, 6/1890), lot 620, which realized $42, to S.H. & H. Chapman. "Smaller planchet." E. Isaac F. Wood (S.H. & H. Chapman, 7/1894), lot 198, which realized $52, to "Hudson" (likely S.H. & H. Chapman). A. Dr. Augustine Shurtleff Collection list, Boston Evening Transcript (2/10/1859), to W.E. Woodward prior to 1863. B. Benjamin Haines (Bangs, Merwin & Co., 1/1863), lot 906, which realized $45, to McCoy. E. George F. Seavey (W.H. Strobridge, 6/1864), lot 682, which realized $45; Jewett Collection (Edward Cogan, 1/1876), lot 2388, which realized $16, to "Haz" (possibly Haseltine). F. Bache Collection (W.E. Woodward, 3/1865), lot 3280, which realized $85, to McCoy. G. Colin Lightbody (Edward Cogan, 12/1866), lot 719, which realized $35, to Hinman. H. Joseph Mickley (W.E. Woodward, 10/1867), lot 2989, which realized $67.50, to Cohen; Col. M.I. Cohen (included in the Crosby 1875 census) (Edward Cogan, 10/1875), lot 1489, which realized $25. I. Henry S. Adams (Edward Cogan, 10/1876), lot 465, which realized $33. J. Public Auction Sale (Edward Cogan, 6/1877), lot 408, which realized $6. K. Henry S. Barclay (Charles Steigerwalt, 4/1885), lot 908, which realized $30 (possibly bought in); Henry S. Barclay (Charles Steigerwalt, 6/1885), lot 359, which realized $28. Plugged above head. L. A.W. Matthews (W.E. Woodward, 12/1885), lot 1775, which realized $13.50. M. Vicksburg Collection (W.E. Woodward, 5/1888), lot 1169, which realized $40.50. O. Charles Steigerwalt Fixed Price List (10/1890), page 20; Relisted in his Fixed Price Lists (12/1890, 2/1891, and 10/1892). "Marred a little by several nicks on obverse." P. Bierl, et al Collections (S.H. Chapman, 3/1917), lot 149, which realized $20. Augsburger, Leonard, Roger W. Burdette, and Joel Orosz, edited by James L. Halperin, Truth Seeker: The Life of Eric P. Newman, Dallas: Ivy Press, 2015. Baker, W.S., Medallic Portraits of Washington, Philadelphia: Robert M. Lindsay, 1885. Reprinted by Krause Publications: Iola, Wisconsin, 1965, with George Fuld's annotations. Bowers, Q. David, Virgil Brand: The Man and His Era, Wolfeboro, New Hampshire: Bowers and Merena Galleries, Inc., 1983. Bowers, Q. David, Whitman Encyclopedia of Colonial and Early American Coins, Atlanta: Whitman Publishing, LLC, 2009. Breen, Walter, Walter Breen's Complete Encyclopedia of U.S. and Colonial Coins, New York: Doubleday and F.C.I. Press, 1988. Cogan, Edward, "The Mendes I. Cohen Sale," Sale 44, October 25-29, 1875, lot 1488.
Cooper, Denis R., The Art and Craft of Coinmaking, A History of Technology, London: Spink & Son, 1988. Crosby, Sylvester Sage, The Early Coins of America, Boston: The author, 1875. Dickeson, Montroville W. The American Numismatical Manual of the Currency or Money of the Aborigines, and Colonial State, and United States Coins, Philadelphia: J.B. Lippincott & Co., 1859. Ezekiel, Herbert T. and Gaston Lichtenstein, The History of the Jews of Richmond from 1769 to 1917, Richmond, VA: Herbert T. Ezekiel, 1917. Ford, John J., Jr., "Newly Discovered Washington Pattern Coins," The Numismatist, Vol. 88, No. 9, September 1975, p. 1947. Fuld, George, "Coinage Featuring George Washington," Coinage of the Confederation Period: Coinage of the Americas Conference Proceedings, No. 11, Philip L. Mossman, editor. New York: American Numismatic Society, 1996. Hodder, Michael, "Letter to the Editor," The Asylum, Vol. XVI, No. 4, Fall 1998, pp. 19-20. Lupia, John N., III, "Mason, Ebenezer Locke, Jr.," Encyclopedic Dictionary of Numismatic Biographies, www.numismaticmall.com http://www.numismaticmall.com , accessed May 18, 2018. Kraljevich, John J., Jr., "Perkins and the Washington Medal," The Numismatist, Vol. 123, No. 8, August 2010, p. 69. Mason, Ebenezer Locke, "A Pair of Valuable Uniques," Mason's Coin Collector's Magazine, Vol.4, June 1882, p. 15. Musante, Neil E., Medallic Washington: Volume I, London: Spink & Son Ltd, 2016. New York Coin & Stamp Co., "The Lorin G. Parmelee Collection," Sale 4, June 25-27, 1890, lot 618. Newman, Eric P., "George Washington's Unique 1792 Pattern in Gold," Studies on Money in Early America, Eric P. Newman, editor, and Richard G. Doty, associate editor. New York: American Numismatic Society, 1976. Newman, Eric P., "Unique Gold Pattern of 1792 Jingled in Washington's Pocket," Coin World, No. 772, Jan. 29, 1975, pp. 18, 26. Orosz, Joel J., "The Printer's Devil," The Asylum, Vol. XVI, No. 3, Summer 1998, pp. 13-15. Orosz, Joel J., The Eagle that is Forgotten: Pierre Eugène Du Simitière, Founding Father of American Numismatics, Wolfeboro, New Hampshire: Bowers and Merena Galleries, 1988. Rulau, Russell and George Fuld, Medallic Portraits of Washington, 2nd Edition, Iola, Wisconsin: Krause Publications, 1999. Shurtleff, Dr. Augustine, "Washington Coins," Boston Evening Transcript, February 10, 1859. Shurtleff, Dr. Augustine, "Washington Coins," Bangs, Merwin & Co., "Charles H. Morse Collection," October 17-18, 1860, New York. Smith, Pete, American Numismatic Biographies, Rocky River, Ohio: Money Tree, 1992. Tompkins, Steve M., Early United States Half Dollars, Volume 1, 1794-1807, Peculiar, MO: the author, 2015. Washington, George, "Third Annual Report to Congress, October 25, 1791," Journal of the Senate of the United States of America, 2nd Congress, 1st Session, Oct. 25, 1791, p. 326. Read the entire 62-page catalog description for the 1792 Washington Gold Eagle Pattern here.